Same as a boiler, but cheaper! 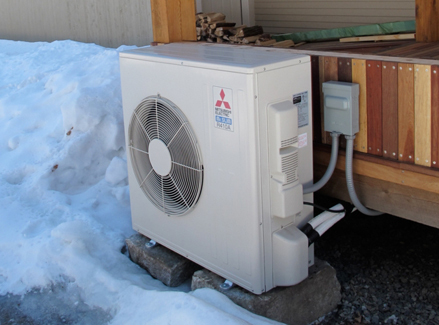 An Air Source Heat Pump (ASHP) is similar to an air conditioning unit working in reverse. 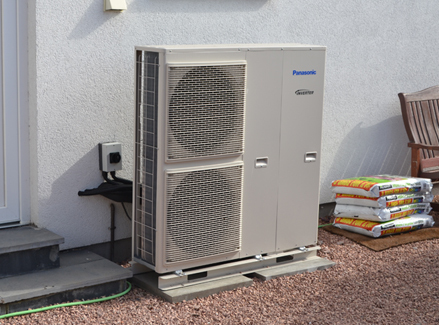 The refrigerant inside the heat pump absorbs heat from the surrounding air, it is then compressed, raising the temperature so it’s suitable for space heating and hot water. An air source heat pump system and can provide water temperatures up to 60°C in ambient temperatures as low as -15°C*. 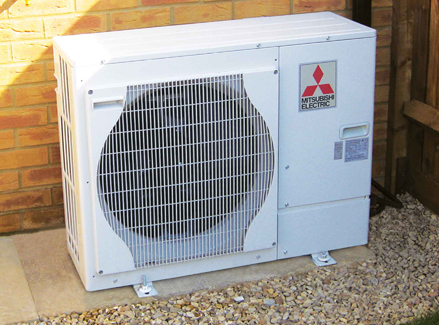 Air source heat pumps come in ranges suitable for everything from small domestic to a large commercial installations. 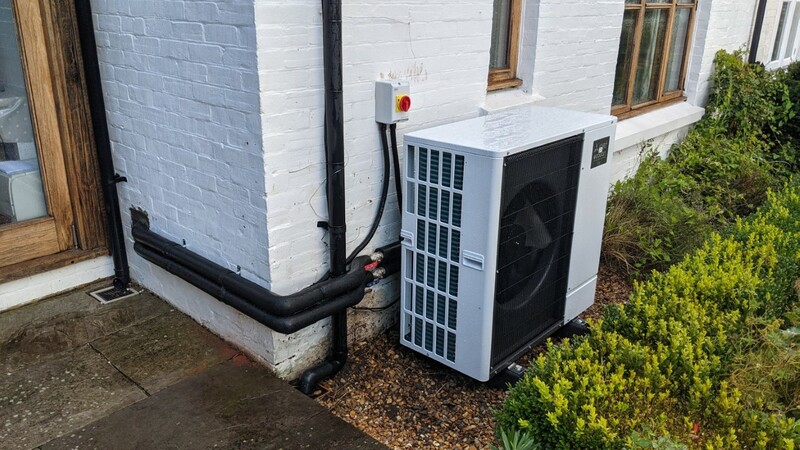 An Air source heat pump is simpler to install than a ground source heat pump and as a result it is cheaper option. 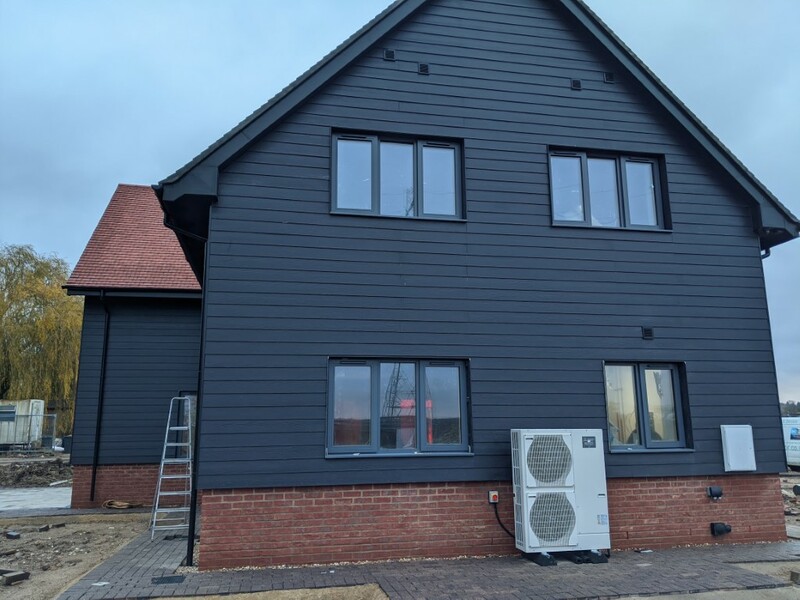 It is a little less efficient than a ground source heat pump because some of the heat generated has to be fed back around to defrost the system and air is a less efficient way of moving heat than water which is used in a ground source heat pump. 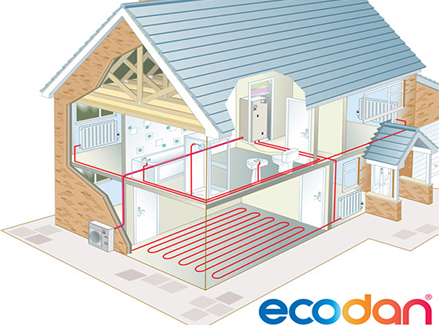 With a domestic property the heat load is not very large and this difference in efficiency does not have a significant effect when it comes to the heating bill, in fact you need a larger older style property using over 30,000 kWh of heat to justify the additional installation cost of a ground source heat pump on running costs alone. For each kWh of electricity fed into an air source heat pump unit you can get up to 3.5 kWh of heat. The overall system efficiency will depend on satisfactory system design and installation, and energy savings compared with your current heating system will depend on the operational settings i.e. how you use the heating system. The Domestic Renewable Heat Incentive pays homeowners 7.51 pence per kilowatt for the renewable energy produced by the heat pump. This is paid quarterly for seven years and the rate will increase and decrease each year in line with inflation. 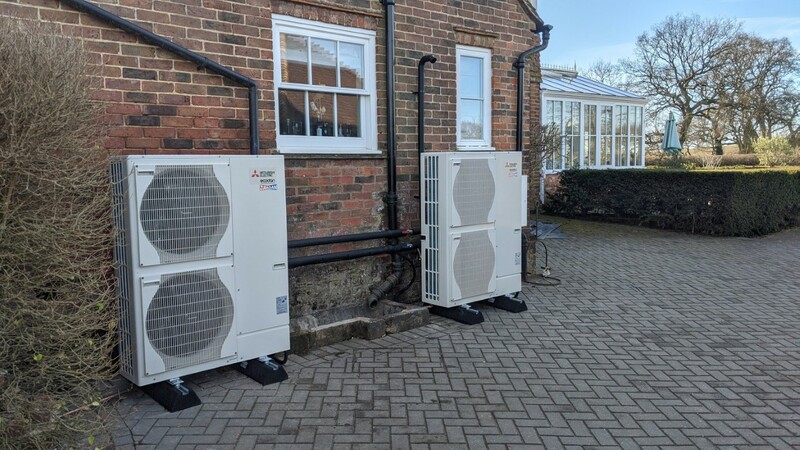 Confused about air source heat pumps? it can be daunting so why not check out out quick guide? 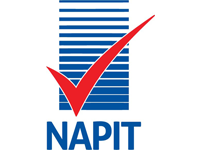 Air source & ground source heat pumps both benefit from the governments RHI scheme.